Bottom of the 17th. Bases loaded. 2 out. 3 on. It’s up to you be a hero and bring them home. Choose your best “putter” and swing hard. 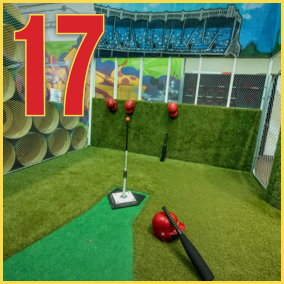 Get it through the hole for a hole-in-one grand slam — or forever do the slow, long walk back to the dugout of shame.